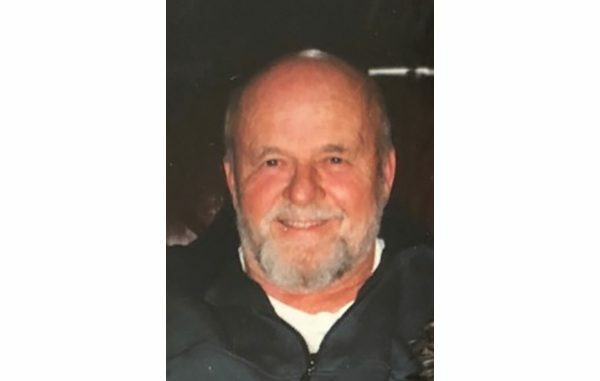 SEBASTIAN – Terence “Terry” Patrick Foley, 77, passed away peacefully on Sunday, March 31, 2019 at his home surrounded by his loving family. He was the devoted husband of Barbara (Panilaitis) Foley for 54 years. Born November 26, 1941 in Waterbury; the son of the late Charles and Vera (Birdsall) Foley. Along with his brother and sister, Terry grew up in Watertown where he spent much of his time with many cousins, aunts and uncles on Birdsall Pond. As a young man, always working, he loved his job as a lifeguard at Squantz Pond. He also worked at the Taft School Jigger Shop and delivered newspapers for Mr. Vaichus in Watertown. He graduated from Watertown High School, Class of 1959 and took classes at Waterbury State Technical College. He very proudly served in the U.S. Army, active duty, stationed in Germany until 1963 and then served in the Reserves until 1966. On April 18, 1964, Terry married the love of his life, Barbara and they raised two beloved daughters, Holly and Marsha “Missy” in Watertown. He worked at F&S Oil and CL&P until securing his position as a Cable Splicer in 1964 at SNET. Later, he was promoted to management and eventually retired in 1985. Besides working at the phone company, he spent his life as a Developer; building houses, condominiums and roads in Connecticut, Rhode Island and Florida. Under his companies, Foley Construction and Indian Riverview, LLC, he continued to work on projects until the day of his passing. He put in subdivisions including Bayberry Drive and Valley View in Thomaston. He and his best friend, James Breeney, worked together to build Black Rock Condominiums in Thomaston. He and his wife, Barbara, built several houses together. A favorite was their home on Quonochontaug Pond in Charlestown, RI where family and friends spent many, many summers boating, fishing, laughing and “raising a glass”. Besides being a Veteran, Terry was a lifetime member of the Elks Club, member of St. John the Evangelist Church in Watertown, St. Thomas in Thomaston and St. Sebastian Catholic Church in Sebastian, FL. In addition to his wife, he leaves two daughters, Holly Varanelli and husband Thomas of Riverton and Marsha Anthony and husband Gustavo Lopez of Farmington; grandchildren, Thomas Varanelli, Jr. and wife Lauren of New Hartford, Michael Varanelli and fiance Kayla Gugliotti of Harwinton, Christopher Varanelli and wife Rachel of Bristol, Joseph Varanelli of Riverton, Elizabeth Heffernan and fiance Peter Mathieu of Vermont, Michael Heffernan, Jr., of Riverton, Benjamin Anthony of Colorado, Christina Anthony of Massachusetts and Jason Anthony of Farmington; great-grandson, William Varanelli of Bristol; sister, Nancy McCleary and husband John of Watertown; sisters-in-law, Jane Barber and husband Charles of Watertown and Marsha Yoos and husband Kenneth of Watertown; and many beloved nieces, nephews, cousins and friends. In addition to his parents, he is predeceased by a brother, Charles Richard Foley. “Grieve not…nor speak of me with tears…but laugh and talk of me…as though I were beside you. I loved you so…’twas Heaven here with you” Slainte! A Mass of Christian burial will be held on Saturday, April 6, 2019 at St. John the Evangelist, 574 Main Street, Watertown at 1 PM with full Military Honors. Burial will be at the convenience of the family.There will be no calling hours. Montano-Shea Funeral Home, 922 Main Street, Winsted has care of the arrangements. Memorial contributions may be made to: St. Vincent DePaul Mission in Waterbury. Visit an online guestbook at Montano-shea.com.